Mccaffrey: "Anyone voting against my resolution clearly has other motives for the program and is perhaps putting revenue ahead of the safety of our residents." Suffolk County Legislator Kevin McCaffrey has introduced a Local Law to temporarily suspend the Red Light Camera Program. Lindenhurst, NY - August 3, 2017 - On Tuesday, July 25th, 2017, Suffolk County Legislator Kevin McCaffrey introduced a Local Law to temporarily suspend the Red Light Camera Program until the Department of Public Works completes a study on the program’s impact on safety. According to a recent report by the Suffolk County Traffic and Parking Violations Agency, the percentage of rear-end collisions at red light camera locations increased by 30 percent in 2015, which is the latest year in which data is available. The same study showed that accidents involving injuries increased at 46 red light camera locations in Suffolk County. According to the Local Law, Introductory Resolution 1581, which is scheduled for a public hearing on Wednesday, September 6 in the Legislature Auditorium at the Riverhead County Center, the Red Light Camera Program has raised concerns regarding the timing of yellow and red lights. It also states that several citizens, lawyers and local leaders in Suffolk County claimed that the flash caused by the cameras has caused more automobile accidents than it has prevented. The Red Light Camera program was authorized by the Suffolk County Legislature and by the New York State Vehicle and Traffic Law in 2009. The program was sold to the public as a way to reduce accidents and fatalities at intersections in Suffolk County. The program has caused controversy, attracting criticism from both the public and community leaders, who claim that 80 per cent of tickets are given to motorists that make right turns on red. Another point of criticism from residents in Suffolk County is that the Red Light Camera Program is more a money grab than a safety measure. 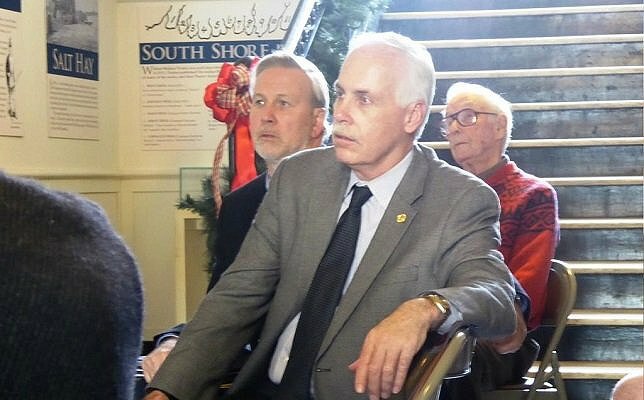 Legislator McCaffrey represents Suffolk County’s 14th Legislative District which encompasses the Village of Lindenhurst, Babylon Village, the hamlets of West Babylon and North Lindenhurst, portions of Copiague, North Babylon and Babylon’s barrier beach communities. Subject: LongIsland.com - Your Name sent you Article details of "Legislator McCaffrey Introduces Resolution To Temporarily Suspend Red Light Camera Program"